This is not a Photoshop mockup, an artist's impression. These are real wedding rings, crafted by Romanian goldsmith Zsolt Székely, a talented guy who specialises in creating custom, one-off designs for aspiring couples. 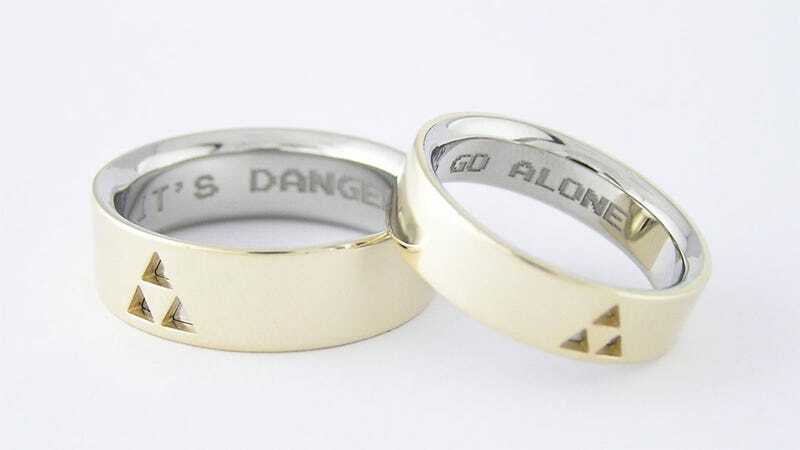 Like the lucky pair who tied the knot with these amazing Zelda rings.